1. "Are Epistemic Reasons Normative? ", 7th Annual Workshop on Normativity and Reasoning, NYU Abu Dhabi, 13–15 January 2019. 2. "T.B.A. ", Conference Dimensions of Rationality, Goethe University Frankfurt, 6-7 June 2019. 3. "T.B.A. ", Workshop Agency and Norms, HU Berlin, 5-6 July 2019. 2. “Are All Favorers Reasons?”, Berkeley-Stanford-Davis Graduate Philosophy Conference, University of California, Berkeley, 24 April 2010. 3. “The Why-Be-Rational Challenge”, Workshop “Agency, Reasons, and the Good”, Humboldt University of Berlin, 01 July 2011. 4. “Does Nietzsche Believe in Objective Values?” (Comment), Humboldt-Princeton Graduate Conference in Philosophy, Humboldt University of Berlin, 18 July 2011. 5. “The Principle of Decisive Reasons”, Humboldt-Princeton Graduate Conference in Philosophy, Humboldt University of Berlin, 18 July 2011. 7. “The Principle of Decisive Reasons”, University Torcuato Di Tella, Buenos Aires, 06 December 2011. 9. “Does Williams’ Internalism Allow for Universal Moral Reasons?” (Comment), Humboldt-Princeton Graduate Conference in Philosophy, Humboldt University of Berlin, 07 August 2012. 10. “Instrumental Normativity”, Humboldt-Princeton Graduate Conference in Philosophy, Humboldt University of Berlin, 08 August 2012. 11. “The Principle of Decisive Reasons”, 8th international conference of the Society for Analytical Philosophy (GAP), University of Konstanz, 19 September 2012. 12. 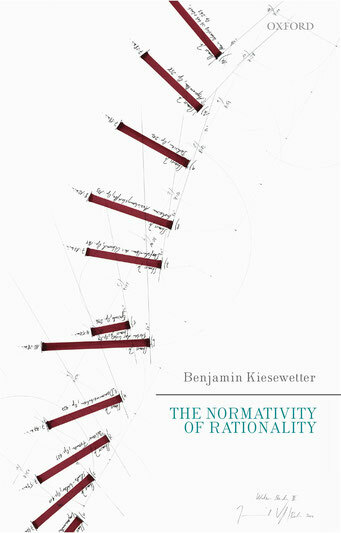 “Instrumental Normativity”, 3rd Konstanz Philosophical Retreat, Insel Reichenau, 28 September 2013. 13. “Why Reasons For Action Depend on Reasons For Belief”, Conference “Reasons: Action, Belief, Perception”, University of Saarland, Saarbrücken, 12 October 2013. 14. “Actualism, Possibilism, and Normative Transmission”, Australian National University, Canberra, 15 April 2014. 15. “The Normativity of Rationality”, Australian National University, Canberra, 29 May 2014. 16. “You Ought to Φ Only If You May Believe that You Ought to Φ”, The University of Sydney, 12 June 2014. 17. “You Ought to Φ Only If You May Believe that You Ought to Φ”, Australian National University, Canberra, 23 June 2014. 18. “What’s Wrong With the Wrong Kind of Reasons?” (with Jan Gertken), Conference “The Wrong Kind of Reasons”, Humboldt University of Berlin, 22 September 2014. 19. “Instrumental Rationality As a System of Categorical Imperatives”, 23rd German Congress of Philosophy, University of Münster, 30 September 2014. 20. “Instrumental Rationality As a System of Categorical Imperatives”, European Normativity Network Conference, University of Barcelona, 13 November 2014. 21. “Instrumentelle Rationalität als ein System kategorischer Imperative”, University of Bremen, 27 November 2014. 22. “Instrumentelle Rationalität als ein System kategorischer Imperative”, Leipzig University, 10 December 2014. 23. “Instrumentelle Rationalität als ein System kategorischer Imperative”, Humboldt University of Berlin, 16 January 2015. 24. “The Normativity of Rationality”, Workshop on Practical Reasoning, University of Vienna, 25 March 2015. 25. “A Buckpassing Account of the Normativity of Rationality”, Conference on the Normativity of Rationality, Cardiff University, 06 May 2015. 27. “An Evidence-Relative Account of Reasons”, Conference “Normativity: Epistemic and Practical”, University of Southampton, 09 September 2015. 28. “Is There a Liberal Principle of Instrumental Transmission?” (with Jan Gertken), 9th international conference of the Society for Analytical Philosophy (GAP), University of Osnabrück, 15 September 2015. 29. “An Evidence-Relative Account of Reasons”, Lund University, 27 October 2015. 30. “The Normativity of Rationality”, Lund University, 29 October 2015. 31. “Can the Lottery Paradox be Solved by Identifying Epistemic Justification with Epistemic Permissibility?”, Lund University, 02 November 2015. 32. “Is There a Liberal Principle of Instrumental Transmission?” (with Jan Gertken), European Normativity Network Conference, Humboldt University of Berlin, 20 November 2015. 33. “Instrumental Rationality As a System of Categorical Imperatives”, Job Talk for a W2/W3 Professorship for Practical Philosophy, University of Bayreuth, 11 January 2016. 34. “Précis” and “Repliken”, symposion on my book manuscript The Normativity of Rationality, with comments by Gerhard Ernst and Erasmus Mayr, University of Erlangen-Nuremberg, 04 March 2016. 35. “The Normativity of Rationality”, Aarhus University, 15 April 2016. 36. “The Normativity of Rationality”, University of Hamburg, 26 October 2016. 37. “Why There is No Such Thing As a Motivating Reason”, European Normativity Network Conference, University of Oslo, 03 November 2016. 38. “What Kind of Perspectivism?”, Meeting of the American Philosophical Association, Pacific Division, Seattle, 12 April 2017. 39. “Are Epistemic Reasons Normative?”, Conference "Ethics of Mind: Responsibility, Normativity and Rationality”, University of Erlangen-Nuremberg, 02 August 2017. 40. “Why There Is No Such Thing As a Motivating Reason”, Kongress der Deutschen Gesellschaft für Philosophie, Humboldt University of Berlin, 27 September 2017. 41. "Is There a Liberal Principle of Instrumental Transmission? ", Boston University, 20 October 2017. 43. "What is Irrationality? ", University of Erfurt, 29 November 2017. 44. "What is Irrationality? ", University of Leeds, 07 December 2017. 45. "What is Irrationality? ", Workshop "Kiesewetter on Reasons and Rationality", King's College London, 09 December 2017. 46. "The Myth of Political Authority", 10th international conference of the Society for Analytical Philosophy (GAP), University of Cologne, 18 September 2018. 47. "Are Epistemic Reasons Normative? ", 10th international conference of the Society for Analytical Philosophy (GAP), University of Cologne, 19 September 2018. 48. "Are Epistemic Reasons Normative? ", Conference Norms and Reasons, 1 November 2018, University of Zurich. 49. "Migration und Moral", 13 November 2018, University of Hamburg. 50. "The Myth of Structural Rationality", Workshop MetaEssen 3: Structural Rationality, 23 November 2018, University of Duisburg-Essen. 51. "Rationalität und Normativität", Lecture Series Philosophie kontrovers, University of Cologne, 6 December 2018. Click here for a special discount link. Review of "Ralph Wedgwood, The Value of Rationality", now published in Ethics 129 (3): 501–8 (April 2019) (Original Review, Preprint). "Contrary-to-Duty Scenarios, Deontic Dilemmas, and Transmission Principles", now published in Ethics 129 (1): 98–115 (October 2018) (Original Article, Preprint). now published online in Episteme (Original Article, Preprint).